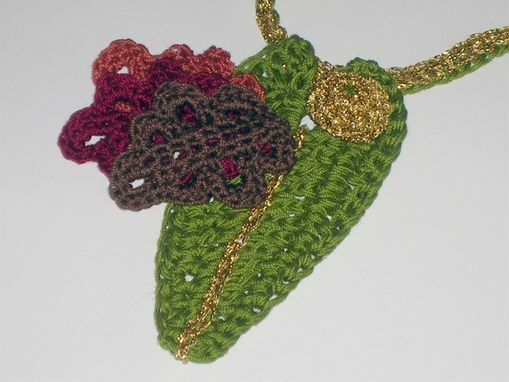 I used cotton crochet thread and a speciality metallic thread to create the leaf shapes for this necklace. 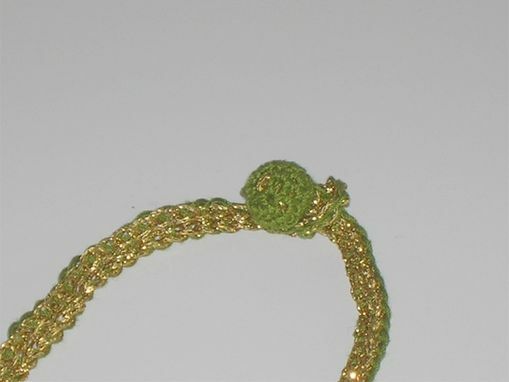 Fall colors were also used. 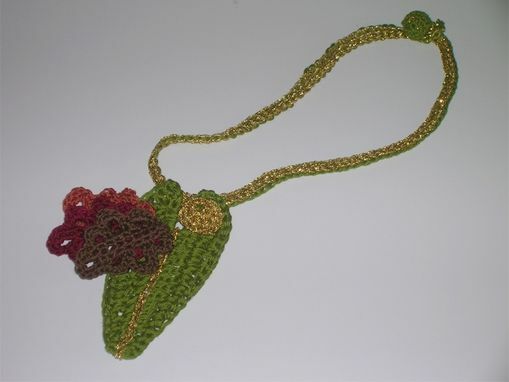 The button closure is also crochet. 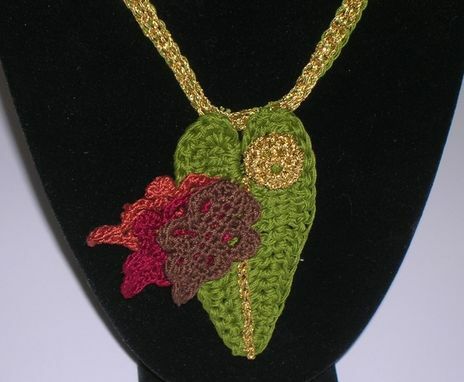 The necklace measures 14" long and the central leaf measures 3" long.